Lead/Follow roles not required based on gender. Many events encourage or require people to take a class as a lead/follow based on gender. We’re not about that. Learn whatever role you want. Chloe + Chaz both dance either role. 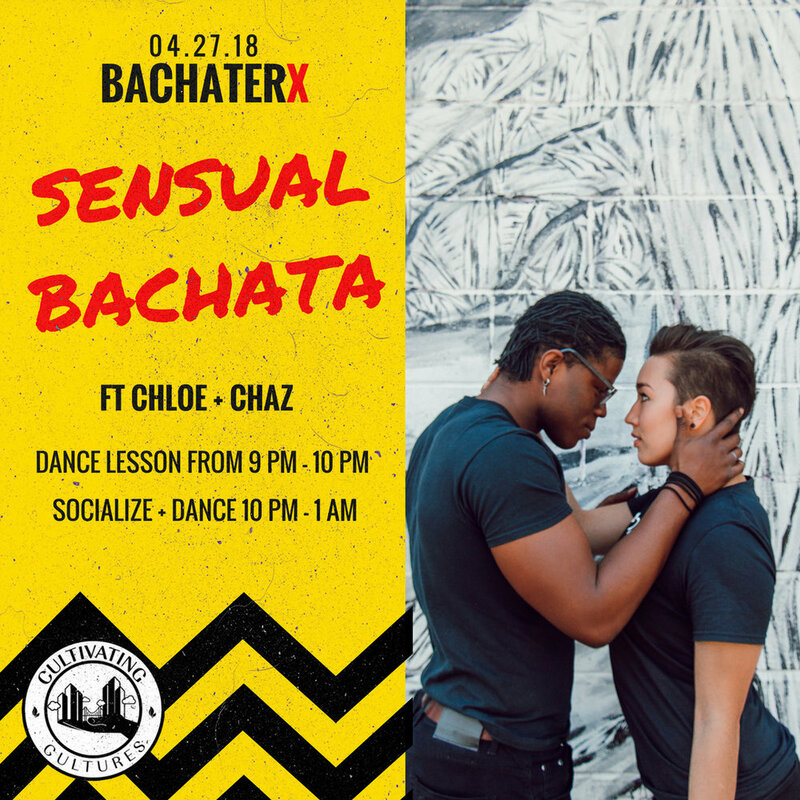 We’ll be spinning the hottest bachata and Latin tracks all night!